The regional airline has hit a bout of turbulence in the long haul back to profitability. Flybe investors are not happy passengers this morning, after the airline announced falling revenues in the midst of a tricky turnaround. By midday shares had tanked 23% to 69p. Talk about turbulence. The regional carrier’s passenger revenues fell 3.8% to £126.8m in its third quarter, the three months to December 31st. It said it expects to break even for the full year to March, compared to £8.1m pre-tax profits the year before. The results aren’t all bad: passenger revenue per seat was up 2.4% to £50.23, while load factor (i.e. how full its planes are) improved 5.5% to 74.3%. But shareholders had clearly expected chief executive Saad Hammad to shake all the skeletons out of the closet as soon as he took the controls in August 2013 (rather like Dave Lewis is trying to do at Tesco at the moment). Those full year 2013/14 profits, a marked turnaround from a pre-tax loss of $41.1m the year before, rather whetted investors’ appetites and shares hit a near three-year peak of 149p last April. But in November 2014 the airline announced a £15.3m half-year loss, including a £9.9m write-down on its Finnish business, which it sold for the grand total of €1. 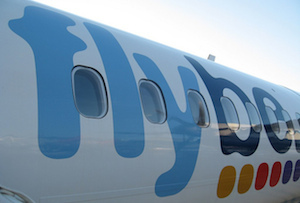 Flybe is still only halfway through its three-year turnaround, and at the moment only time will tell whether Hammad will succeed. It looks like investors who want to stay on board will have to strap themselves in for the rocky ride to come - MT hopes they won't need sickbags.